Priorities include repealing PPACA and the estate tax, and changing Medicare and Social Security. (Bloomberg) — The U.S. House Republicans who helped force out former Speaker John Boehner are readying their next act: a multi-point manifesto demanding quick action on long-time conservative priorities. Members of the House Freedom Caucus are preparing a “Contract With America II” that would call for House votes in the first 100 days of 2016 on replacing the Patient Protection and Affordable Care Act (PPACA), overhauling entitlement programs such as Social Security and Medicare, and repealing the estate tax. The plan is tentatively named after the “Contract With America” that Newt Gingrich and other Republicans used to describe their pledges in the 1994 elec­tion campaign that swept the party into the House majority. Two decades later, members of the Freedom Caucus have been waging war on a Republican establishment they say has gone astray. They’ve already toppled Boehner of Ohio as speaker and helped quash House Majority Leader Kevin McCarthy’s bid to take over the job. The plan would help conservatives hold new Speaker Paul Ryan and other Republican leaders to account. Even before Ryan of Wisconsin became the new speaker, they extracted promises from him to give more power to rank-and-file House members. Some Freedom Caucus members say the new “contract” is intended to show the group can do more than throw rocks at the Republican establishment by devising a more-positive legislative agenda. “We’ve been working on that plan and hope to introduce it,” said Rep. Mark Meadows of North Carolina, a founding Freedom Caucus member. Most of the three-dozen Freedom Caucus members haven’t signed-off on a final version, said Meadows, interviewed Wednesday as he made the rounds of Veterans Day events and other appointments in his district covering the western tip of North Carolina. “There are conservative ideas and policies we want to pitch to the conference and that we want to be for,” he said. Rep. Dave Brat of Virginia, the Freedom Caucus member who unseated former House Majority Leader Eric Cantor in a 2014 Republican primary election, is among those who have advocated for the party’s leaders to commit on paper to specific principles and promises. Brat even put out his own list of public commitments in October that a speaker and other House leaders should make, including balancing the federal budget within 10 years and broadening opportunity for members to fully debate legislation on the House floor. Gingrich’s “Contract With America” campaign proposal helped Republicans win a landslide election in 1994, gaining 54 seats and winning control of the House for the first time since Dwight Eisenhower was president. While a welfare overhaul was enacted two years later, a number of its other proposals — including term limits for members of Congress — didn’t become law. The 1994 document’s call for a balanced-budget constitutional amendment is repeated in the new draft. The intent this time, said Meadows, is for the caucus to unveil its plan publicly so it may become at least part of the House Republican agenda for 2016. Meadows was a key instigator in the 2013 government shutdown fight — he circulated a letter demanding the defunding of PPACA — as well as Boehner’s decision to leave Congress in October. Meadows filed a procedural bid in July to remove Boehner, who ultimately decided to resign instead of fighting conservatives among his membership. 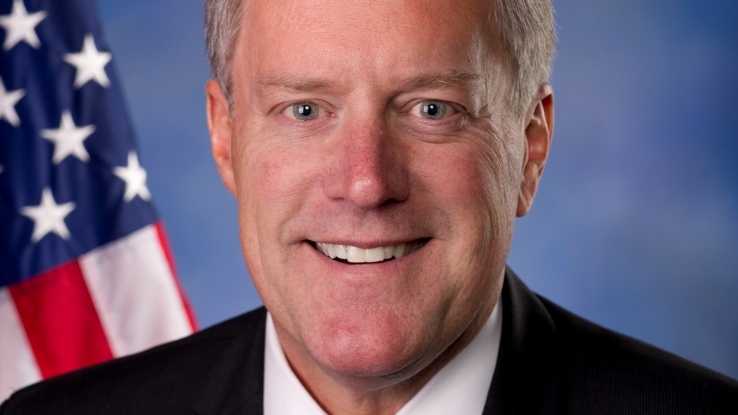 Meadows said it’s important now for Freedom Caucus members to be “more strategic” in plotting their direction. The proposed contract represents “part 2″ of a three-step process, he said. “Step 3 will be delivering on that contract,” said Meadows. Brat and Meadows indicated that, so far, Ryan as speaker has been saying and doing the right things. The speaker has repeatedly said that Republicans must offer specific ideas on matters such as replacing PPACA with a new health care plan. Even if opposition from President Barack Obama and fellow Democrats keep the proposals from being enacted, Americans need to know what Republicans would do if given the chance, Ryan has said. Next week, Congress needs to pass a six-year highway spending plan before current authority expires Nov. 20. Then lawmakers must agree on a $1.1 trillion omnibus spending bill to keep the government open after Dec. 11. Brat and Meadows both suggested that, with so little time left before the Dec. 11 spending bill deadline, Ryan may be judged mainly on whether he allows enough rank-and-file input. Neither said they expect huge fights on policy issues such as defunding Planned Parenthood because of the short time frame. That’s partly why a focus is already shifting to 2016. The draft of the Freedom Caucus contract calls for House floor votes on proposals to require a balanced federal budget, repeal the estate tax, replace PPACA, and cut dependence on foreign oil 20 percent by 2025. The military should receive enough funding to be able to fight two separate wars in different parts of the world, it says, and government regulations should be cut 20 percent across the board.